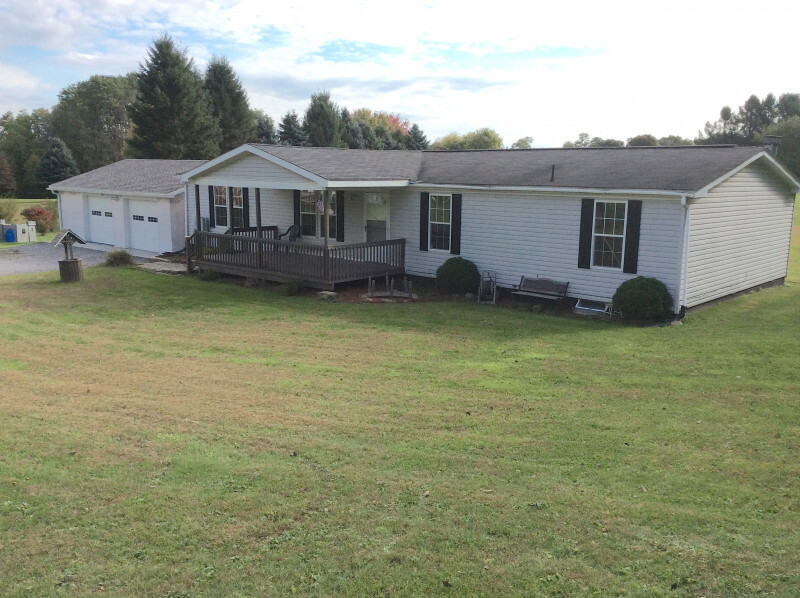 Spacious Ranch with 2.5 car garage on secluded lot. House has open floor plan with new flooring throughout. Nice size decks on front and back of house. Large kitchen w/center island, includes appliances. Newer pole barn style garage with electric and poured floor. Central air, wood fire and much more.